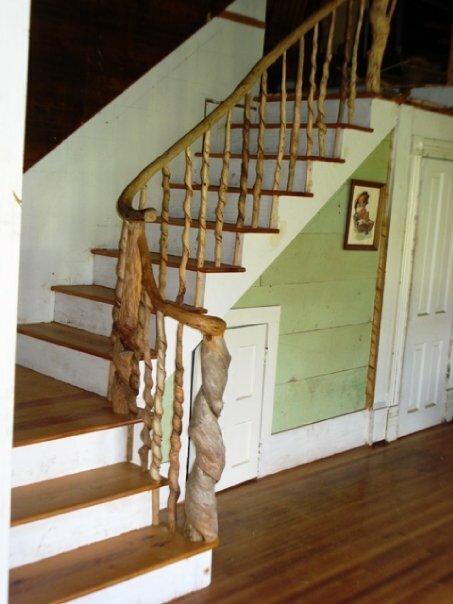 Unique creations from naturally twisted wood. “My approach to woodworking is to start with the source, the tree. All of my work is as close to nature as possible. "To my knowledge, no one else has built furniture in this style." John finds his natural materials from walks in the woods of Calhoun-Lafayette-Yalobusha Counties in Mississippi, and turns these works of art from Mother Nature into works of art that have been displayed in Taylor Arts, Tin Pan Alley, Southside Gallery, and Square Books. View James Tribble's photographs of John's work on Facebook. In addition to hand-harvesting materials for his work, John uses woods that would otherwise go to waste, such as trees felled by lightening or cut down and left lying by power companies. 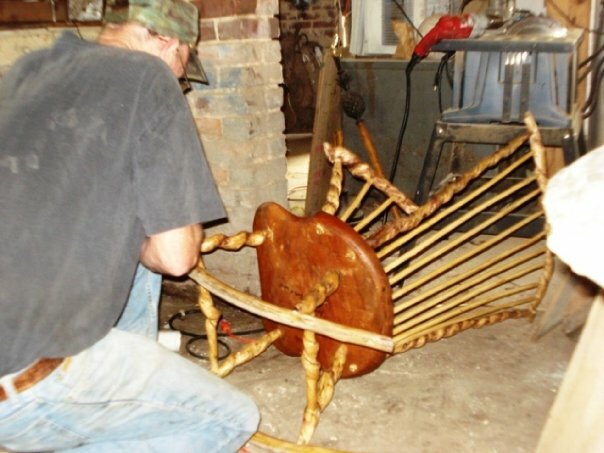 John is a member of the Mississippi Craftsman’s Guild and has won awards for his work at the Tupelo Gum Tree Festival and Chimneyville Arts and Crafts Show. In wild woods, honeysuckle vines twine around young saplings and, as both plants grow, the vines sculpt the growing trees into twisted, ornate natural works of art, each one unique. 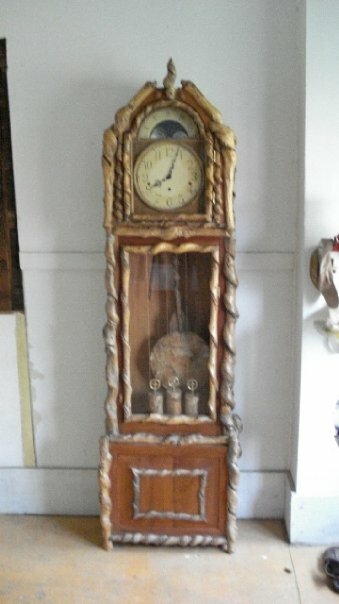 John Steele Davis incorporates these ornate designs into unique rustic furniture crafted entirely by hand. 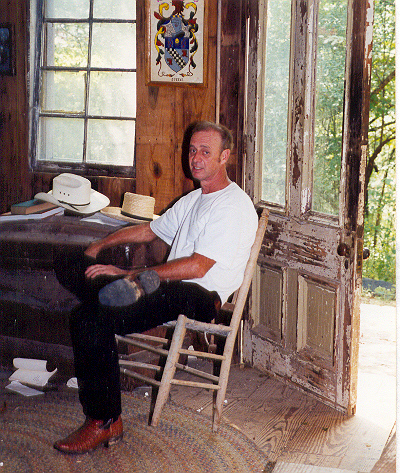 “To my knowledge, no one else has built furniture in this style,” said John, who is as unique as his creations.